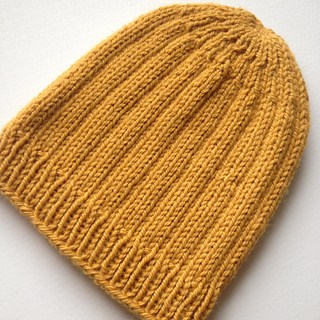 Perfect hat for beginners who’d like to learn the most basic knitting in one project. NOTE: Try knitting it in a thinner yarn, and see how well it turnes out. Make sure the length of the hat is just right for your preferred size, before you start the decreasing at the top.